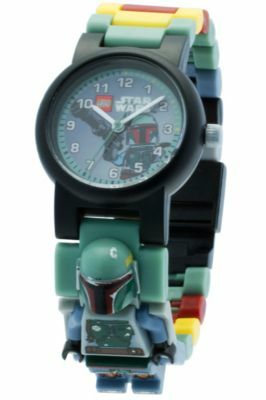 Carry the power of a galaxy far, far away on your wrist with the buildable, customizable LEGO® Star Wars™ watch with a Boba Fett minifigure! Price is 22% below the initial Lego retail price, a € 5.54 discount! The Boba Fett Minifigure Watch (5005013) Lego set is no longer directly available from the sites below. However, 3rd party partners of these sites might still have the set available.